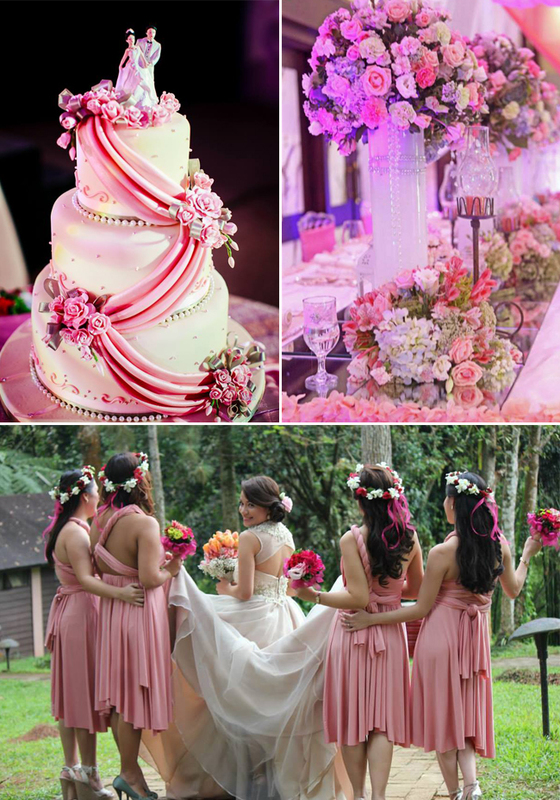 Bold but colorful, that seems to be the general consensus of fashion experts on the wedding color trends this year. Based on the predictions of Pantone Color Institute, the color authority, 2014 will feature mostly of uncommon hues. Yet this doesn’t mean a lack of color coordination because as described by Leatrice Eisema, Pantone’s executive director, there’ll be “a sense of colorful equilibrium”. Coincidentally, someone in the local fashion scene singled out harmony as a focal point in deciding themes and motifs. It’s not surprising therefore that many of the forerunners are non-traditional colors. And what else should jumpstart the runways and weddings but, Radiant Orchid (a version of the purple hue), the color of the year. “It’s a color-wheel contrast to green…It’s a little different, it’s a little off the beaten path”, says Ms. Eisema. The “color of nature” is also seen to prevail as many are now into environmental preservation. Traditionally, avocado and minty shades like Hemlock are shoo-ins. But Hunter green and pea green would likely add charm to one’s wedding. Pantone recommends that Hunter green looks fabulous with white and raspberry shades of pink as well as other shades of green. As such, a white wedding dress paired with Hunter green leather boots will be amazing for a country style theme, say, in a garden wedding reception. Pea green, which is lighter and has a more yellowy shade, is also in the list. It’s perfect for bouquet arrangements. Blues will reign supreme but only those with monochromatic schemes. Placid blue and dazzling blue are among the favorites. This is a departure from past choices of blue-green, turquoise, teal, and peacock. Now wearing shades of blue on an important affair like the wedding takes a lot of risk. Nonetheless, with the right pastel colors there’s justification to be blued, romantically at that. Another favorite are sunbaked shades like orange and yellow since preference to reds has died down gradually. In this group, celosia orange, an optimistic and spontaneous hue, would be a daring choice. This color is strong but it still has a nice softness about it with a peachy coral tinge. Pantone suggests that it should be paired with violet tulip for a “captivating vision, much like the setting sun”. Freesia is worth-mentioning too. 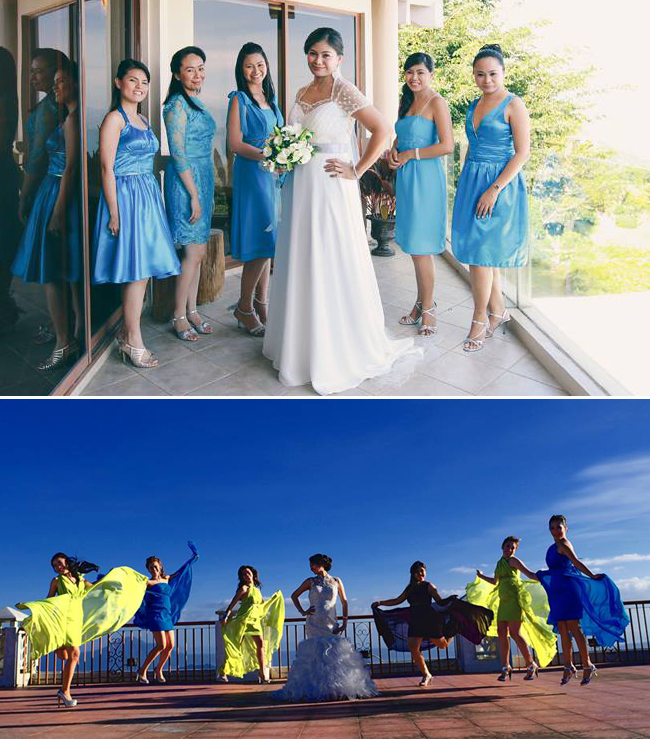 According to a local fashion enthusiast, this color is a tropical, floral-inspired shade, and will lend all the warmth and energy for one’s wedding. A walk down the aisle this summer with such a vibrant color will certainly make everyone happy especially the ubiquitous photographer. For warm or color mixes, one can never go wrong with gray even if it’s underrated. And paloma, a gray with the softest hints of a bluish shade, is predicted to shine. Pantone explains that, “it’s a quintessential neutral, interesting enough to be worn alone or combined with any color for sophisticated poise”. So it’s probably the best option for the undecided — as long as one is creative enough to find the right fusion. 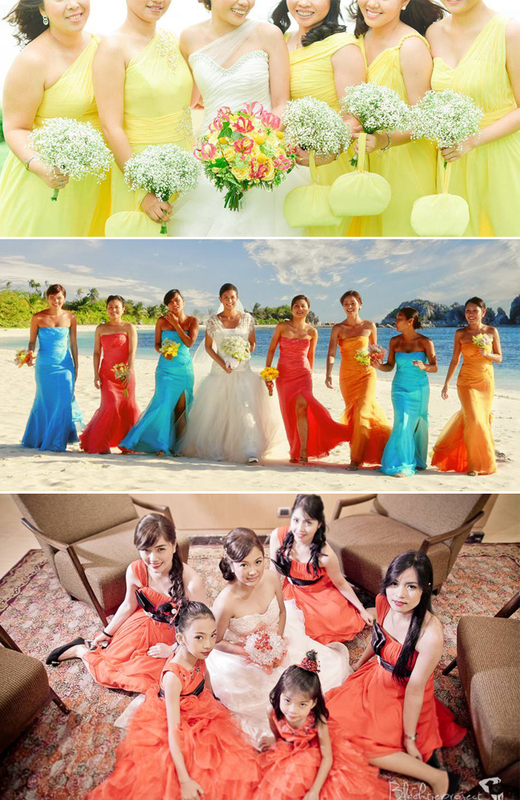 With this quirky color selection, this year’s weddings will surely be picturesque and unforgettable!